Pollyanna Pre-school in Lindford, Hampshire, has been rated as ‘Outstanding’ by Ofsted. The inspection is the first since the pre-school was registered by the Cygnets Day Nurseries group in 2017. The pre-school operates from the Methodist Church Hall and has access to an outdoor space all year round. 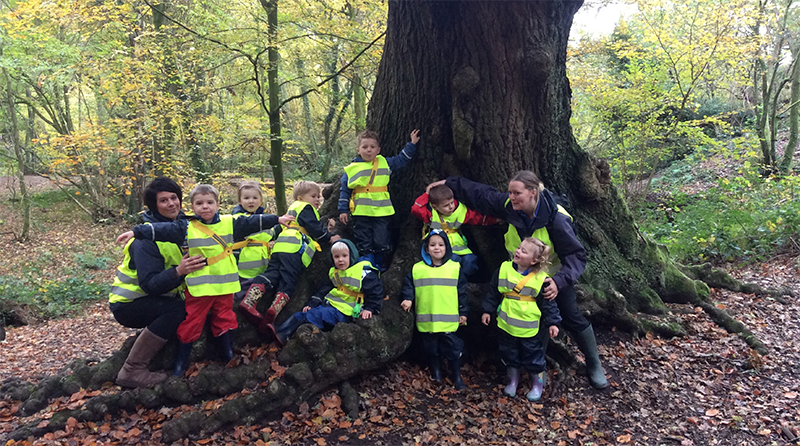 Children are encouraged to play an active part in the community and take regular trips to the Bordon Inclosure with their Forest school. They work closely with the Deadwater Valley Trust to give the children an opportunity to explore the natural world around them. The pre-school is open term time, Monday to Thursday from 9.15am to 3.15pm and on Friday from 9.15am to 12.15pm. Funding is received for the provision of funded early education for children aged three and four years. Further information is available on the Pollyanna’s website. Staff can also be contacted via phone on 01420 476114 or email: pollyannapreschool@outlook.com to answer any questions or to arrange a visit. The Ofsted report is available at this link.